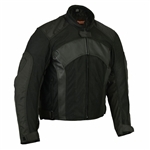 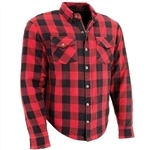 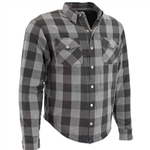 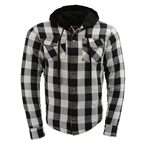 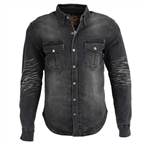 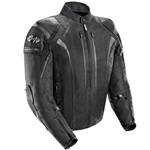 Shop Leather Bound Online's selection of textile riding jackets for men. 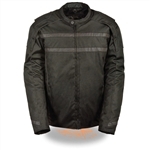 Our nylon jackets are perfect for riding in mild weather. 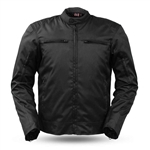 Not looking for a traditional leather motorcycle jacket? Textile motorcycle jackets are a great alternative and offer many great features to riders, including armor for protection, vents and reflective detailing for safety. 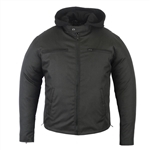 Textile jackets can be as warm as a leather jacket, check out the padded textile jacket with a 3-way liner that is great for all seasons. 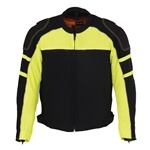 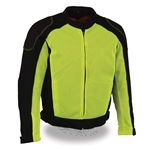 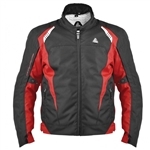 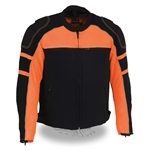 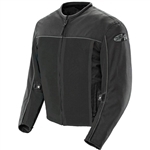 Available in a variety of colors and styles there is a textile riding jacket for every rider. 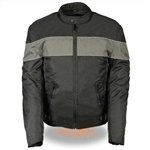 Many of our jackets are vented and have removable liners making them great for all seasons. 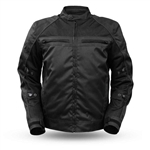 Choose a padded motorcycle jacket with body armor for added safety while riding. 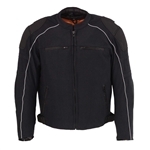 Most styles have removable liners that make them good jacket for many seasons and riding conditions.